My father, Paul Bullard, was a landscape and portrait painter, and on family holidays he would sit and sketch, sometimes with me by his side, filling my music manuscript paper. As a child, I used to think that his task was easier than mine: all he had to do was to put on paper what he could see in front of him, whereas on the other hand I had to imagine a whole sound world, hearing music in my head, and then put it down on paper. 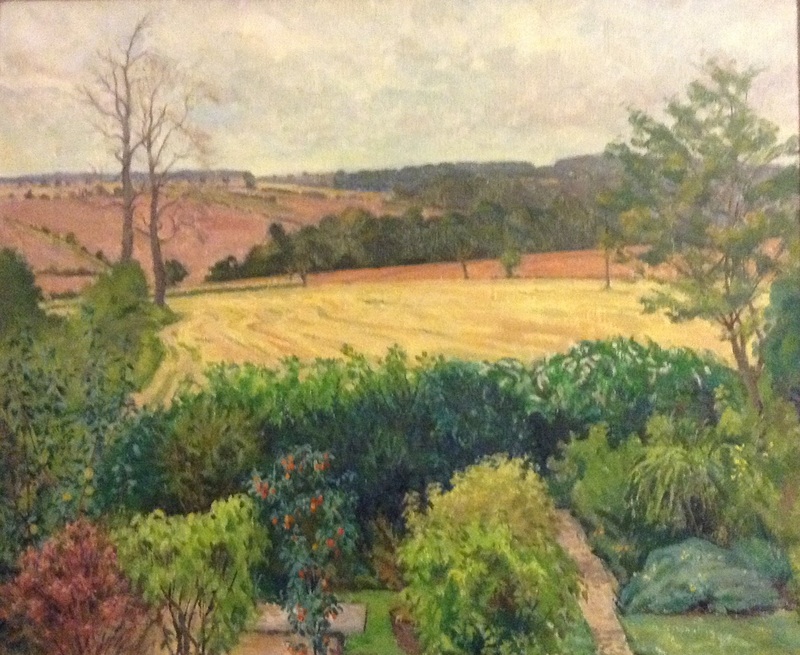 Of course that wasn’t really correct: what I didn’t realise was that his task was to re-present the view in front of him in pen and ink, or oils, and not merely copy it: in other words it was an equally creative process to composing. So what my father was doing, I suppose, was looking at an existing object from a different angle, ‘arranging’ it for pen and ink, and that just got me thinking about the way that composers often do that too. At the moment I’m reading John Eliot Gardiner’s book ‘Music in the Castle of Heaven’ and guided by that I’ve been listening to some of J. S. Bach’s cantatas. In most of these, Bach takes a well-known melody and re-presents it, embroidering the material in a myriad of ways. It wasn’t a new idea of course: composers had been doing it for hundreds of years, but Bach’s skill and variety in transforming the ‘known’ material, both in his choral works and his organ Preludes, is breathtaking. And ever since, many composers have loved to re-present the old with the new in the same way. And so when I came to write my recent Advent cantata, I found myself using the traditional hymn ‘O come, o come Emmanuel’ as a starting point – turning its phrase shapes into recitatives, and using it as a slowly moving melody in some voices against more decorative singing in the others, so that although the hymn is never sung in its complete form, it permeates the whole work and, I hope, gives the listener a sense of security and comfort. In a similar way, my Christmas cantata ‘A light in the stable’ uses the ancient hymn ‘Of our Maker’s love begotten’ as a melodic basis throughout, as well as using a number of Christmas carols, concealed in the background as well as in the foreground. So it was a happy coincidence that at the time I was writing these cantatas I was asked to contribute to a new organ series: ‘Oxford Hymn Settings for Organists’ or OHSO for short. The first two volumes of these, Advent and Christmas, and Epiphany, are published (by OUP), and there are more to come. Edited by Rebecca Groom te Velde and David Blackwell, they bring together an impressive range of new works from UK and US composers. They make a fascinating collection of short preludes for use in church services and organ recitals: each composer responds to their chosen well-known hymn or carol in a different way, creating a different mood and colour. Some present the melody in slow moving notes in the pedals while the hands weave brilliant toccata-like passages above: others gently conceal the melody in the middle of the texture, while others give us several verses of the melody, each with different harmonisations and registrations. Still others take each phrase of the melody in turn and develop it, perhaps presenting it grandly with big chords, or treating it contrapuntally, one hand copying the other, and a few simply take a fragment of the melody as a starting point and take it in a completely unexpected direction! There are 58 pieces by nearly twenty composers in the two books, and each one is different in its approach and character, each looking at the melody on which it is based from a different angle. I learnt a lot about writing for the organ when composing my pieces for this series – and now have learnt still more by seeing the variety of the musical offerings of my composer colleagues near and far! This entry was posted in Uncategorized on October 9, 2014 by alanbullard. Over the years, I’ve written several piano pieces, mostly to play myself in concerts. In fact I’ve been writing an on-going set of Preludes over recent years, which I come back to every so often. But in the last few years I’ve been involved with two educational piano projects which have given me much enjoyment. These are Pianoworks and Joining the Dots. “Sight-reading can be the aspect of learning that pupils find most difficult and frustrating, and which fills them with most fear when exam-time comes along. We all know that the skill of playing at sight is one of the most useful –and time-saving – for any musician, but helping our pupils to progress with their sight-reading, rather than merely undertaking ‘tests’ in it, is a challenge to which there is no easy answer. Having been one of the team involved in preparing the current ABRSM piano sight-reading tests, and working as an examiner and teacher, I found myself often re-considering how we learn to sight-read. There are many inter-relating reasons why the more experienced sight-reader manages to ‘keep going’ but amongst these must surely be a reliance on an inbuilt knowledge of the different keys, and the finger patterns and musical shapes within them. Joining the Dots embodies this approach by not only joining the musical ‘dots’ but also joining together different aspects of music making – knowledge of keys, technical exercises, improvisation and playing at sight – to enable more efficient and effective learning of new music by developing a greater awareness of keyboard geography. It is a resource for regular use within lessons and at home, between exams as well as in preparation for them. The eight books in this series for the piano cover the keys found in the ABRSM sight-reading tests at each of Grades 1–8, with a separate section for each key used within the tests at the corresponding grade. Imagine, for example, that your pupil is learning a piece in the key of G major. S/he will already have explored the key to an extent by playing the G major scale and arpeggio/broken chord, and will be starting to develop a feel of where that F sharp falls under the fingers and on the page. 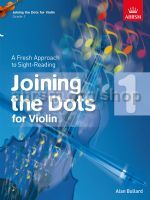 Joining the Dots will help to reinforce that sense of key, and its G major section will provide technical exercises and warm-ups, opportunities for creative work, and short pieces to sight-read, all in that key and therefore with a starting-point in common. Similar activities are presented at an equivalent level in each key, so that your pupil can ‘jump in’ to any section, using its varied but logically organised material, alongside pieces, scales and arpeggios/broken chords that are being learnt in that key. Key Features are short exercises for each hand separately, designed to help the pupil establish basic hand shapes and the ‘feel’ of each key under the fingers. They can be a good way to begin a practice session, and within each book, the same patterns are used for each of the different keys, which helps to introduce the concept of transposition, without making a feature of it at this stage. Workouts are hands-together exercises for warming up the fingers and hands, and explore a range of techniques and styles. Make Music provides an opportunity for your pupil to build confidence in (and through) creative and imaginative work, and develop aural skills. Like the activities above, these will also help to familiarise the pupil with the geography of the keyboard and the ‘feel’ of the key, but using an approach that is not primarily notation-based, and involves some experimentation. In time, this will develop greater confidence and a closer sense of ‘one-ness’ with the keyboard, thus benefiting the learning and performing of all music. In Books 6-8 there is also the opportunity to Transpose – an excellent way of cementing the feel of a key under the fingers. So, having now established the ‘feel’ of a specific key with technical exercises and exploratory improvisation, your pupil is equipped to apply that knowledge to reading at sight in that key. Read and Play is the goal of each section – a number of short, characterful pieces with titles, to be played at sight or after a short practice time, with the focus on ‘keeping going’. The final section of each book includes more solo pieces and a duet. They can be used as additional sight-reading practice or as pieces to learn quickly and play through for fun. The eye-catching design, and the range of approachable musical styles with descriptive titles, will appeal to those looking for a wider range of sight-reading ‘specimen tests’: however, the purpose of the books is more extensive than that, seeking to encourage joined-up-thinking between eye, brain and hands in the interests of developing an all-round sense of musicianship. 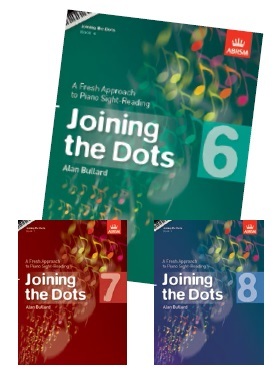 Joining the Dots Piano Books 1-8 are published by ABRSM. 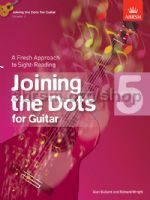 Also published are Joining the Dots Guitar Books 1-5 (co-authored with Richard Wright), and Joining the Dots Violin Books 1-5 (with assistance from Doug Blew). Joining the Dots Singing Books 1-5 is on the way for 2015. Here’s a link to the ABRSM website to see the full list. 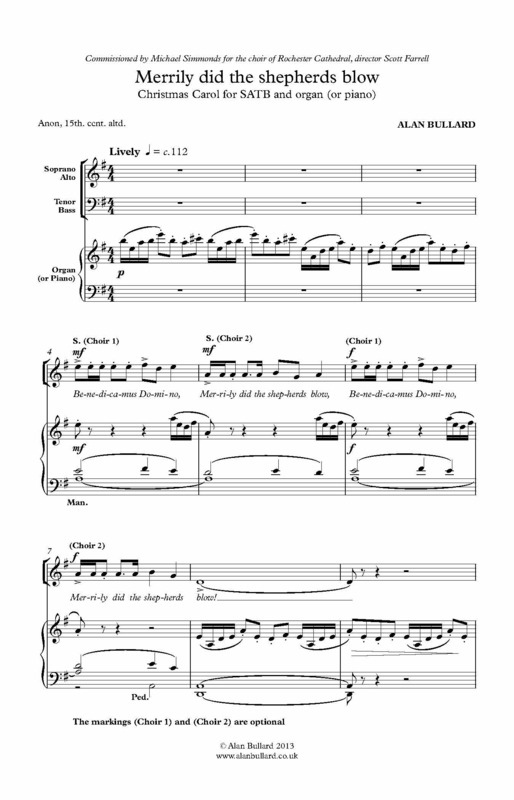 This entry was posted in Uncategorized and tagged ABRSM, piano, piano teacher, sight-reading on September 24, 2014 by alanbullard. Pianoworks, published by Oxford University Press, is co-authored with my wife Janet. She is a piano teacher, with a number of elementary adult pupils, and this series of books is for them, and for beginner pupils of any age who don’t fancy lots of pretty pictures or coy titles on each page. T here are two tutor books (Pianoworks 1 and Pianoworks 2), and both come with a CD to help with some of the activities. It took a lot of work to break down piano learning into separate 2-page units, and we had several attempts at it – but now we are pleased (and proud) with the result! The first book goes from absolute beginner to around Grade 2, and the second book moves on to Grade 3 or 4 – though they are not primarily intended as ‘exam books’. We hope that pupils will have a teacher to guide them, of course, but we have heard of people who have worked through the books quite happily on their own, using the CD to check their progress and accuracy. The books include a wide range of music, original pieces and arrangements, and technique is carefully and progressively introduced. There are also a number of supporting activities such as improvisation and sight-reading. Alongside the tutor books we wrote two supporting repertoire books, Pianoworks Collection 1 and 2. These contain a wide range of supplementary pieces, arranged broadly in order of difficulty, and with short descriptive notes about each piece. These collections then provided a template for subsequent themed collections. Pianoworks Christmas was one of the first: easy arrangements of lots of well-known carols and Christmas songs, with the words as well. One year Janet used this book very successfully in her adults’ Christmas concert: each pupil learnt one carol, and everyone else sang along, forcing the player to keep going! There are also books of duets – Pianoworks Duets 1 and 2 – mostly arrangements of well-known classics, but a few new pieces too, and with an included CD of both parts, so that the player can play along if they don’t have a duet partner: ‘Duets for lonely people’ as a Chinese music salesman put it, though we don’t think that’s a very good sales pitch! Other collections are Pianoworks A Night at the Theatre – arrangements of songs from operas, ballets, and shows, and Pianoworks Popular Styles, containing a wide range of new pieces in many contrasting contemporary styles, from pop to classical. The other educational piano series I’ve been writing is called Joining the Dots. I’ll write about that in another blog. This entry was posted in Uncategorized and tagged Oxford University Press, piano teacher, tutor books on September 24, 2014 by alanbullard. This is a continuation of part 1, which you may prefer to read first. I’ve written carols for most of my life, but the first one of mine to take off (and still my most often-performed carol I think) was called Scots Nativity. Here’s one of the best of the many performances on YouTube. I wrote this in two versions, upper voices in two parts, and SATB, and, a few years later, an SAB version for an OUP Voiceworks collection. I’ve also arranged it as a solo song, and it has also been published in Swedish. I’ve often wondered why this carol is sung more often than some of my others, and I think it must be due to the traditional Scottish words, and the folk-song-like character of the tune, with its lilting melody and ‘scotch snap’ rhythms. (The tune is by me: it’s not a traditional folksong, by the way). Although I’m not Scottish, my wife Jan comes from Scotland and we often go there, and I think I assimilated something of the atmosphere, even though I wrote some of it sitting on a wall outside Ely Cathedral on a sunny day! A few years later, I wrote a very different carol – lively and rhythmic, though with calm and reflective mood changes. This one is called Glory to the Christ Child. Here’s a nice bright and lively YouTube performance. I remember that I wrote three alternative endings and spread them out in the sun at an Association of British Choral Directors conference, and my OUP editors decided which one to choose! They made the right choice: and I was lucky enough for Stephen Cleobury to pick it up and perform it at the Kings College Cambridge Nine Lessons and Carols for two years in succession. This carol is unaccompanied, and a more complex sing than Scots Nativity, but it’s not really difficult and it’s been sung by lots of choirs and recorded several times. I recently revisited some of the carols in this collection, which was published five years ago A new recording of And can this newborn mystery (by the BYU Singers) reminded me of the strength of Brian Wren’s poem, and of the doubts, the searching and questing, that many Christians share today. I met Brian Wren, a retired minister now living in the USA, at a ‘Free to Believe’ conference where I had been booked to play the hymns, and asked him if he had written anything that needed a new tune! He gave me the poem, and we sung a hymn-tune version at the conference which I then turned into this longer carol. The final lines are ‘And so, with doubt and hope reborn, or anxious certainty, or peace, We worship, trust, and rise to serve An infant learning how to feed’ and I hope that my setting communicates that sense of ‘anxious certainty’ but also of ‘peace’. Another setting of a modern text is my Hillside Carol, also in Alan Bullard Carols. The poem is by Clive Samson, and here we are on the bleak and frosty hills with the shepherds, the peaceful night suddenly interrupted by a bright star and a heavenly message of God on earth, and the final calm as ‘Our loves, our hopes, ourselves We give to your son’. In this setting I’ve used an (optional) treble recorder or flute, as well as organ or piano. This carol, and several others, was recently recorded by The Chapel Choir of Selwyn College, Cambridge, director Sarah MacDonald, for release in early Summer 2015. One of my more recent carols was commissioned by Michael Simmonds for the choir of Rochester Cathedral, director Scott Farrell, and first performed there last Christmas. Merrily did the Shepherds Blow / Benedicamus Domino combines Latin with English and contrasts the bright and lively singing and piping of the shepherds with a calm central Nativity scene, returning to joyful harmony, syncopated rhythm and an opportunity to show off the power and colour of the organ in a rip-roaring conclusion! Here’s a recording. I sometimes get asked ‘Have you written anything else like Scots Nativity?’ or even ‘Could you write us something like Scots Nativity?’. Well, composers don’t usually like to repeat themselves (intentionally, anyway), but I have sometimes tried to re-create that character and mood. One carol that does this is The Gracious Gift (in Alan Bullard Carols) – a cradle song, it sets a rather similar text to Scots Nativity (possibly by the same authors), but it is for SATB unaccompanied, and, I hope, not just a carbon copy. And at the moment I’m writing a new carol that might fit in that category – but as it’s a commission I can’t tell you about that yet! Ultimately, though, I like to try to find different angles on the many-faceted Christmas story. I think I’ve said enough for today, but I think there will be more. All of the above carols are available from OUP, with the exception of Merrily did the Shepherds Blow (available direct from me). And there are recordings of many of them on the OUP website too. This entry was posted in Uncategorized and tagged carols, christmas on August 6, 2014 by alanbullard. For composers like me, it feels like Christmas all year round! I’ve just finished, in the hottest week of the year, two commissions for this Christmas, a Christmas carol and an Advent anthem, and writing them brought me right into the Christmas season, and the message of peace and love which it brings. And for much of the past twelve months, I’ve been occupied with a longer Christmas piece: the cantata A Light in the Stable. I’ve written two previous Christmas cantatas, A Feast for Christmas, and O Come Emmanuel. Each celebrates the Christmas season from a different angle: A Feast for Christmas is entirely secular in approach: no hymns, but songs about Christmas puddings, Christmas recipes, Christmas crackers, etc. finishing with the audience joining in with ‘We wish you a merry Christmas’. Accompanied by either piano, or brass quintet, or string quintet, this piece has been performed many times since I wrote it in 2007. Please follow this link for more details and sample pages of A Feast for Christmas. By contrast, O Come Emmanuel, was first performed as a complete Advent service by the choir of Selwyn College Cambridge, for whom it was written. The text is drawn from the seven ‘O Antiphons’, interspersed with a range of other material including arrangements of familiar Advent hymns and carols, some of which the congregation or audience may join in. This was only published last year, but already it has been performed in concerts as well as in church services, and several movements have been performed separately. It can be sung with organ or piano, or with small orchestra. Please follow this link for more details of O Come Emmanuel and some sample pages. So why did I write this new cantata, A Light in the Stable? I wanted to write a piece that tells the Christmas story, that was equally suitable for church and concert use. It tells the Christmas story in the words of the Authorised version, mostly in simple recitative, and these are interspersed with a range of new material, and carols in which the audience are encouraged to join in. The recitative sections may be replaced with Bible readings, or replaced by other appropriate readings, making it flexible and appropriate for many Christmas occasions. I have to say that I was worried that I was treading a very familiar path, but as it all came together I realised that I was really responding to the drama, contrast and pace that the nativity story provides, and I’m really looking forward to hearing how it works. It’s only just published, but several performances are already booked for this Christmas, including five performance by Philip Brunelle’s VocalEssence in Minneapolis, for whom I wrote it. Please follow this link for more details of A Light in the Stable and for some sample pages. This entry was posted in Uncategorized on July 29, 2014 by alanbullard.